For every person on one of our paid subscription models, we have 10 who only use the free services at Majestifc SEO right now. We’ve decided to do a free seminar at Pubcon to try to do something about that.. 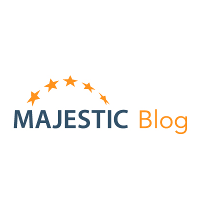 Majestic SEO is now helping domain name traders see at a glance which expiring domains have the stongest link history. The basic data is free, but the tiome saving is considerable. An interview with the polite and unassuming king of link building. I certainly proud of the campaigns we’ve done with Wordtracker, and I’m proud of the teaching that I’ve done. But I don’t spend much time thinking about that. I like to focus on the future so the thing that I’m really proud of is my ‘next big idea’.